Don’t thank me for this post, thank my boyfriend, who is a genius. 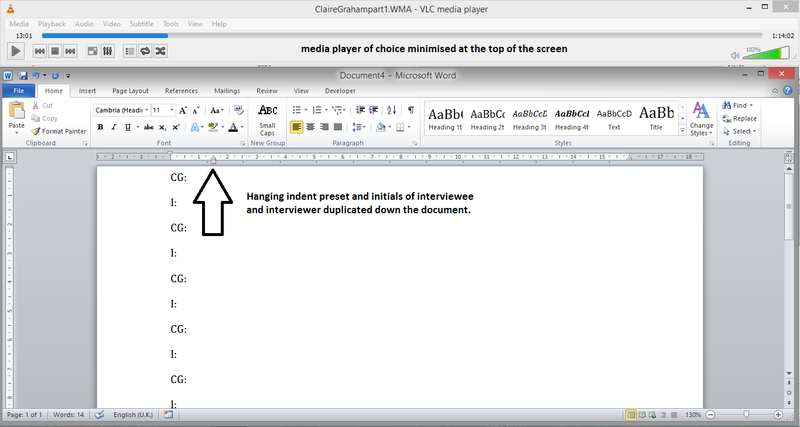 I imagine that looks familiar – you can quickly access the media player to stop and start it and if you’re doing a simple two-person transcript you’ve done what you can to make everything quicker. But you still have to waste time taking your fingers off the keyboard to click between the two programmes and manually start and stop the audio. You might even be clumsily clicking the bar on the audio player to skip back to listen again. No media player. And you don’t need a laptop with built in media controls to make this work. 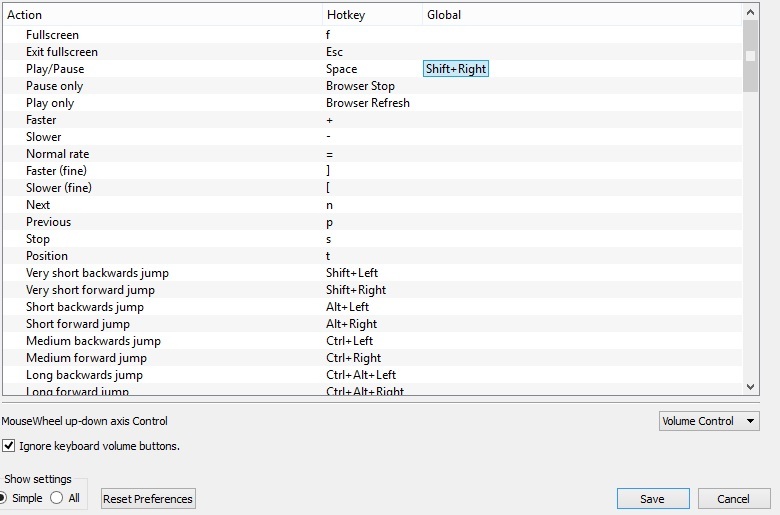 If you use VLC (which is free to download and has a lot of great features) you can configure the global hotkeys so that you never have to click back and forth again! 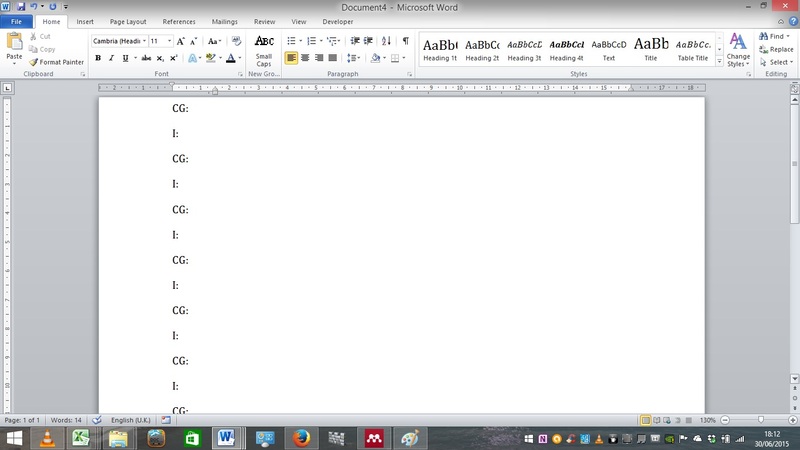 These are the four hotkeys I have programmed specifically for transcription (image below). I find they are enough and make the whole process easier, the slow down command is especially useful when people are talking really fast! You can even slow down the audio so much that you can type as fast as the speakers are talking, but this can make the sound pretty distorted. When you’ve chosen all your commends, you will need to press ‘save’ then exit VLC completely and restart the programme before the changes will take effect. There is no need to restart your whole computer. 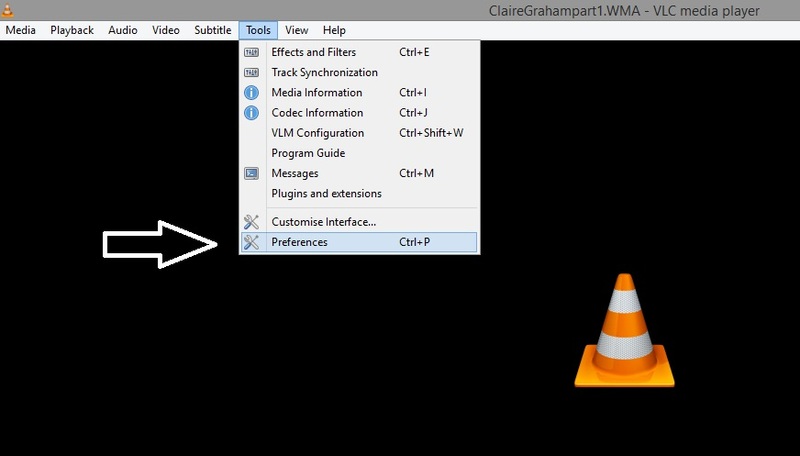 When VLC is restarted, you should find you can use almost any programme while listening to VLC and control the audio remotely without having to click onto VLC to make the change. Categories: Uncategorized | Tags: hints, hotkeys, interviews, tips and tricks, transcribing, transcription, VLC | Permalink. You might notice in your reading that a lot of old-school (or in some cases just plain pretentious…) academics like to scatter their work with Latin (and French) phrases and acronyms. In some cases the Latin phrase really is the most pithy and exact way to get your point across, and sometimes they’re just unnecessary. However, you will encounter them, and if the text is recommended or compulsory reading you’ll have to get to grips with Latin just as you would any other discipline-specific terminology. You can also use them in your own writing, but never do this just to try to sound more intelligent, trust me, your tutors will see right through that. Squiggly loves watching old cartoons (e.g., DuckTales and Tugboat Mickey). The words following e.g. are examples, so you know that these are just some of the old cartoons that Squiggly enjoys. Squiggly loves watching Donald Duck’s nephews (i.e., Huey, Dewey, and Louie). The words following i.e. provide clarification: they tell you the names of Donald Duck’s three nephews. per se – for lovers of South Park, this conjures up an undeniable image of vampire kids. However, it does actually have a meaning and a correct usage. per se means ‘fundamentally’, ‘of itself’, ‘in itself’, ‘inherently’. It’s often used to make mild negatives ‘it’s not illegal per se’ (it’s not fundamentally illegal, but it’s probably not advised) ‘I wouldn’t say that per se’ (I wouldn’t say exactly that, but I might say something similar). Traveling by sea ferry offers certain benefits regarding personal comfort and transporting luggage vis-a-vis air travel. They were now vis-à-vis the most famous painting in the Louvre. The enemy’s defeat was a fait accompli long before the formal surrender. verbatim – ‘word for word’ a verbatim quote has no alterations or improvisations. et alii – the full form of et al. meaning ‘and others’ used in Academic writing when a list of authors is longer than two, e.g. ‘Smith et al. (2009)’. When using this remember you’re talking about plural authors (not just Mr Smith) and always put the full list of authors in your bibliography. et al. should only be used for in-text references. ad nauseam – literally means ‘until nausea’ and usually used figuratively to mean something that has been going on forever until everyone is sick of it. ergo – is a direct substitute for ‘therefore’ ‘I think ergo I am’. I hope this is useful and hasn’t gone on ad nauseam. The quotes used from Grammar Girl et al were all verbatim and hopefully have been supported by evidence as opposed to being a priori. I admit this was a fairly ad hoc entry vis-a-vis Latin terms and ergo I may have omitted some. If so let me know. And don’t do what I’ve just done; never use Latin when English will do! Categories: Uncategorized | Tags: academic language, academic writing, essays, fancy writing, French, Latin, Latin abbreviations, Latin phrase, quotes, writing style | Permalink. To reiterate simply what I have said many times, one letter really is all it takes. I saw a message on a social media site today that made me stop what I was doing and create this little message. We all know (or hope we know) what she meant to say to her BFF but the missing letter turned the meaning quite upside down! Just a reminder that even if your spell-checker isn’t telling you anything is wrong, you’d better read your letter one more time. This might sound like a very complicated title, but it’s for a very simple problem. This initial problem is very like the one I explained when talking about referencing multiple authors by using ‘et al’ and what verb forms to use in this circumstance. Which form of ‘generate’ would you use? The trick here is to imagine that the bit in between paired commas (or in parenthesis – or between paired dashes – )doesn’t exist, the verb should agree with the essential part of the sentence, not the additional part. So the verb here should be ‘generate’. The same trick of ignoring the additional sentence part is also really useful for making sure your sentences are grammatically complete. Just don’t read additional parts and make sure what’s left still makes sense. Categories: Uncategorized | Tags: academic writing, commas, grammar, nctuation, noun verb agreement, paired dashes, punctuation | Permalink. If anyone could help me assess an idea for a PhD I’ve had in my head for a while by completing this short survey, I’d be very grateful. Categories: Uncategorized | Tags: completing this short survey, phd | Permalink. Could be referenced in text as (Biber et al. : 1998). You need to remember that if you’re writing about what the authors of a multi-authored book have said, remember you need to use plural verb forms. E.g. Biber et al. state that…, not Biber et al states. Biber et al. discuss, not Biber et al. discusses. This can be hard to remember, so try to say in your head whenever you use ‘et al.’ “and others” that way you’ll get the verbs right. You wouldn’t write Biber and others hypothesises – you’d write Biber and others hypothesise. Categories: Uncategorized | Tags: academic, et al., referencing, research, verb forms, writing | Permalink. Writing an introduction can be very tricky, I certainly didn’t get the hang of it until at least the end of my first year at Uni – and I was on a very writing-heavy course. Introductions are at least as difficult to write as conclusions, and people who have difficulty with one will almost certainly struggle with the other too. 4. Give some clue as to how the analysis will proceed, e.g. what specific features you will analyse (refer to your essay’s sub-headings or paragraph themes), what methodology you will be using, any really key theorem/tool you will be applying. This essay will examine the difference in happiness levels between people who own dogs and those who own cats. This paper will use a qualitative method of analysis, and Smith’s (1994) seminal work ‘Cats vs. Dogs’ to investigate data from over 300 surveys undertaken in the Greater Manchester area. This essay will first analyse existing literature surrounding pet ownership, then move on to identify reasons for buying a pet, pet psychology and a pet’s affect on the human psyche. I will use Short’s ‘fingerprinting’ technique (1996:334) which uses the Ellegård Norm to determine the frequency of different word classes within the text. This technique should show any areas which are very deviant from the norm in style. The essay will also look at M. Halliday’s theory of transitivity (Simpson 2004:75) and apply it to the text by looking at the verbs in the text and categorising them into the six classes of verb identified by Halliday. The essay will then conclude with a look at speech and thought presentation. A similar approach can be taken when writing conclusions, which I will describe in my next blog entry. Categories: Uncategorized | Tags: essay, introduction, research, s and tricks, style, university, writing | Permalink.